State House: Hold on, who's running in the primary? 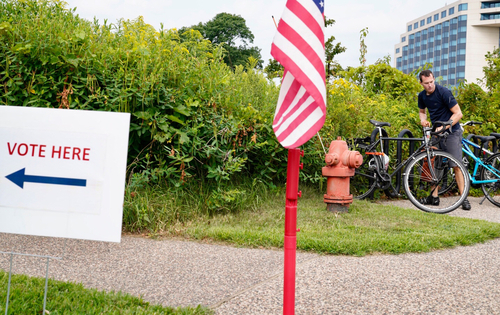 ST. PAUL, Minn. (AP) — Minnesota voters are confronting their busiest primary election in recent memory, with races for governor, both Senate seats and three congressional seats all on the ballot. The biggest unsettled question may be the Democratic primary to succeed Gov. Mark Dayton. U.S. Rep. Tim Walz, Attorney General Lori Swanson and state Rep. Erin Murphy all had a path to victory. On the Republican side, former two-term Gov. Tim Pawlenty carried big advantages in money and name recognition against Hennepin County Commissioner Jeff Johnson. County Commissioner Jeff Johnson was the party's endorsed candidate. Other key races include Senate appointee Tina Smith trying to nail down the nomination to finish the last two years of Al Franken's term. And Keith Ellison, the first Muslim in Congress, is leaving to try for attorney general. 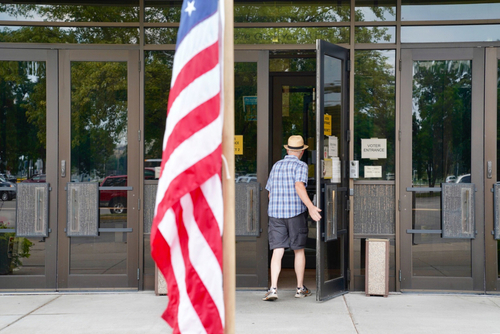 Polls are open to voters in Minnesota's primary election. State elections officials are reminding voters that they can only vote for candidates in one party. If you vote for candidates in both, your ballot won't count. Minnesota has an open primary, so you don't have to register as a member of one political party or another to vote. There are nonpartisan offices on the back of the ballot which include local races. Since they aren't partisan, you can vote for any candidate. The two candidates with the most votes in those races move on to the general election. 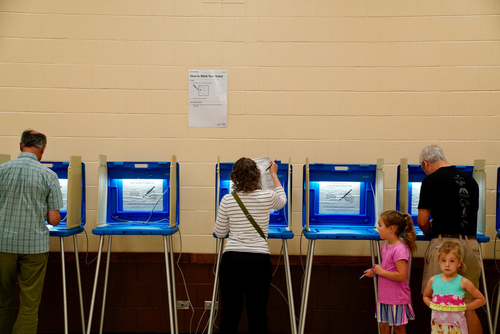 The polls will close at 8 p.m.
ST. PAUL, Minn. (AP) — Polls are open to voters in Minnesota's primary election. State elections officials are reminding voters that they can only vote for candidates in one party. If you vote for candidates in both, your ballot won't count. ST. PAUL, Minn. (AP) -- Secretary of State Steve Simon says Minnesota's election security safeguards are in "very good shape" heading into the 2018 elections even though he's been unable to tap federal money for a long-term upgrade project. Simon says his office has worked with federal and local officials to strengthen the system and minimize any risks. He says officials now know more about efforts by "elements associated with the Russian government" to hack the state's election system in 2016, and how to prevent them again. But Simon will have to wait until next year for legislative authorization to get a share of the $6.6 billion in federal cybersecurity money. That clearance fell victim to partisan wrangling last session. Simon wants to use the money for upgrading the software for the state's 14-year-old Statewide Voter Registration System. 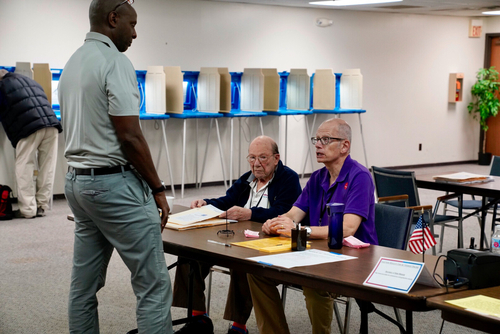 ST. PAUL, Minn. (AP) —Some polling places in Minnesota are reporting steady voter traffic on this primary election day. At Peace Presbyterian Church in St. Louis Park, poll worker Roger Ruth says 87 people had already voted by 9:30 a.m. Tuesday. Ruth tells KSTP-TV that's about the number of people who had voted in total in the last couple of primaries. He says that for a primary it's the busiest he's seen. Races for governor, both Senate seats and three congressional seats are drawing voters to the polls. The biggest unsettled question may be the Democratic primary to succeed Gov. Mark Dayton. U.S. Rep. Tim Walz, Attorney General Lori Swanson and state Rep. Erin Murphy all have a path to victory. 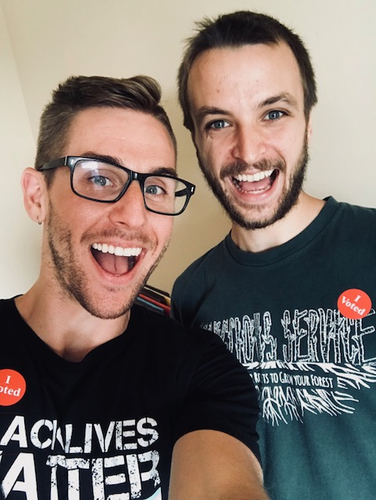 By Gabriel Kwan, MPR News — The Minnesota state primary elections are in full swing Tuesday, and early numbers are suggesting high turnout. Early voting, or no-excuse absentee voting alone is showing people getting out the vote, with almost 120,000 people opting to vote early. Secretary of State Steve Simon says voters are fired up about this year's contested ballots. "It's across the political spectrum. People seem to be paying closer attention this year than in other years," Simon said. "A lot of reasons for that, maybe some of the very close contests on both sides of the aisle. But we're seeing a real sort of reawakening out there, at least tentatively." The early voter count represents a 200 percent increase from the 2016 presidential election. 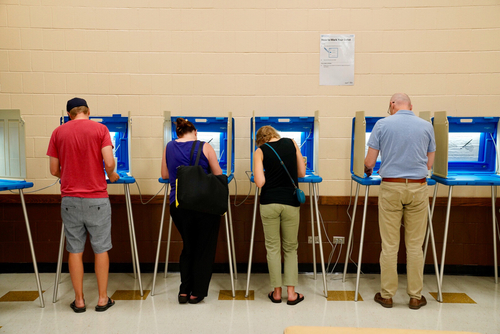 Nearly 120,000 people cast early so-called "no-excuse" absentee ballots. Simon said voters are figuring out the early voting system and they're finding it convenient. "You don't have to be absent anymore to vote absentee. You can vote early or before the election for any reason or no reason," he said, "and people are flocking to that option by either ordering it to come to their homes so they can vote from home, or going to a city hall or a county building to vote anytime in a 46-day absentee ballot period." St. Paul resident Wayne Glass shared this selfie with us via the Public Insight Network. Glass has been active in the voting realm since he turned 18. At the polls he saw: "The volunteers/folks working at the polls were/are amazing. There were no lines and everyone was extremely helpful." 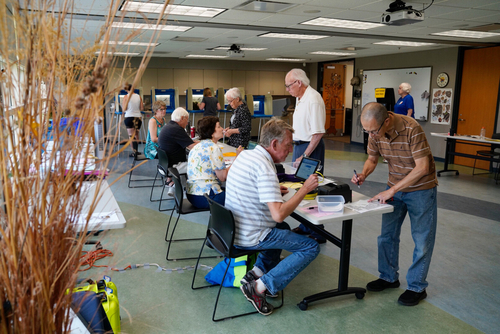 MADISON, Wis. (AP) — The Wisconsin Elections Commission says no major problems have been reported across the state as voters cast their ballots in the primary. The commission says statewide turnout figures for Tuesday's elections are not available yet. 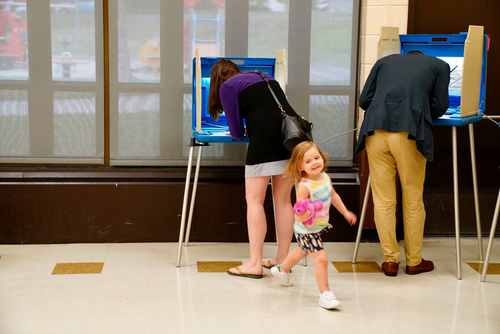 Wisconsin is among four states holding primaries Tuesday. Connecticut, Minnesota and Vermont are the others. 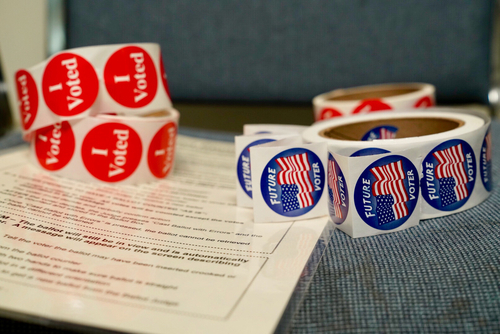 In Milwaukee, the Journal Sentinel reports that election officials are projecting turnout to be 25 to 30 percent of the city's registered voters, which is about 75,000 people. The turnout is about 10,000 more than the 2014 gubernatorial primary. Democratic voters are choosing among eight candidates to challenge Gov. Scott Walker in November. Republican voters are deciding between Leah Vukmir and Kevin Nicholson to challenge Democratic U.S. Sen. Tammy Baldwin.